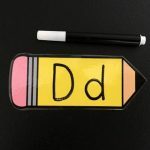 FREE Back to School Alphabet Play Dough Mats for Preschool and Kindergarten! Where did summer go? I keep hearing that but I don’t hear any answers..FOR REAL! Where did summer go? It has been so fun but you know what else is fun? Back To School. It’s exciting in a whole different way. Buying school supplies and prepping for loads of learning. This can also mean anxiety and stress for all kids, teachers and parents. We all know what I’m talking about, it is a roller coaster of emotions. That is where our Back to School Alphabet Play Dough Mats come in! It’s a simple activity that has a ton of benefits for kids, teachers and parents! Not to mention the adorable crayon, pencil and apple design. This play dough mat set is perfect for back to school! 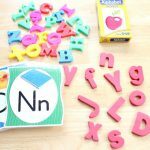 Teaching kids the ABCs can be done in a variety of ways including less structured, more play like activities like this set. 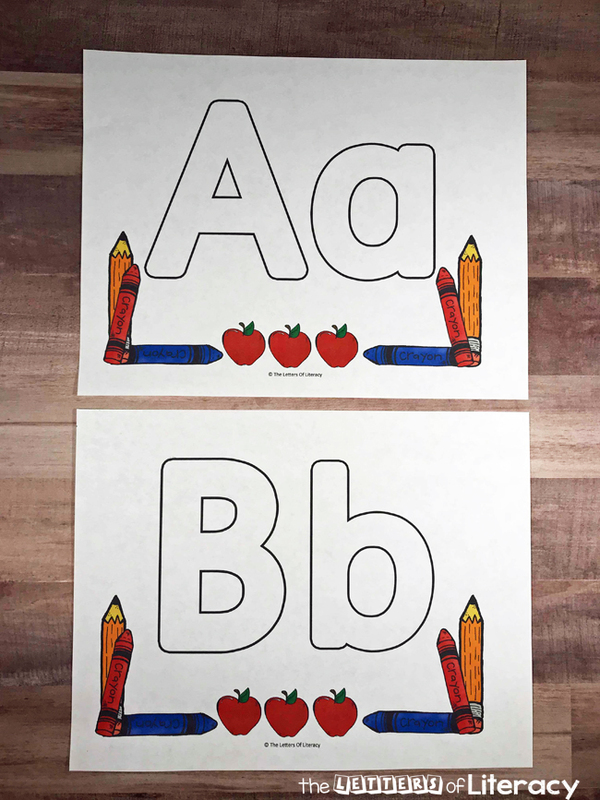 The ABC outlines are perfect for introducing both uppercase and lowercase letters as well as being a fantastic activity for kids who may need practice. 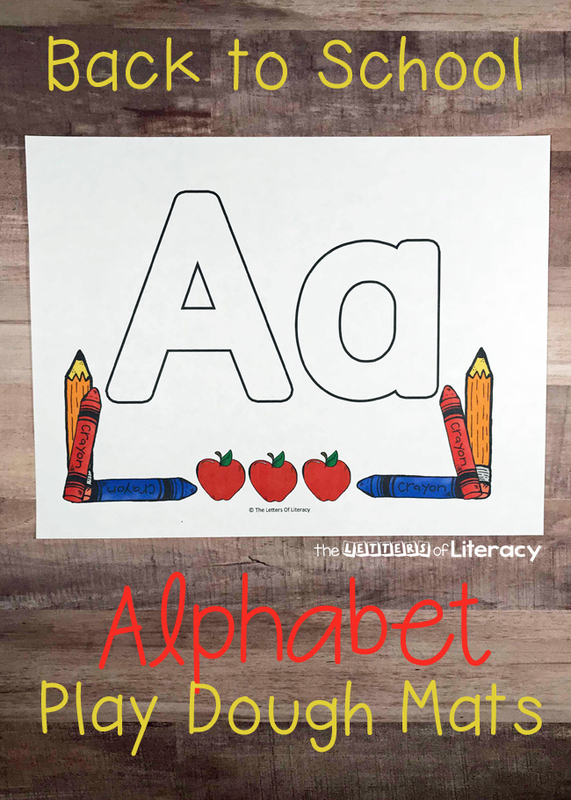 This makes for a perfect activity for the first couple weeks of preschool or kindergarten! The sensory aspect of this activity is absolutely wonderful for helping to reduce stress and anxiety of children. Molding play dough has been shown to be therapeutic in many ways. This is also helpful to reduce stress and anxiety of adults because, well, it’s a super simple activity to prep for! If you’re like me, the first few weeks of school, I need activities just like this! We’re busy working on rules, procedures and other requirements to just starting the class that having simple activities such as this helps everyone! 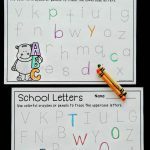 The materials list for this ABC activity is not extensive. Like I said, it is simple. I like to print each letter page and laminate each sheet. Lamination will help extend the life of the play dough mats so they can be used for years to come. Without lamination, the play dough will most likely stick to the paper and the activity will become one use only. Money Saving Tips: If you are preparing this activity for home use, you could easily laminate the pages back to back to save on lamination. 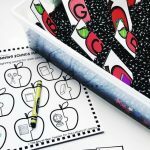 Another option to save on lamination is to use the sheets inside dry erase pouches. You can slide each sheet into one of the pouches and switch it out as necessary. This can be great in the home or in the classroom! The letters can be filled in completely with play dough. 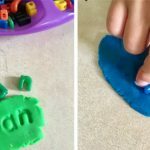 Use different colors of play dough in each letter. Children can create balls of play dough to make dotted lines through the letter. Create snakes with the play dough to ‘write’ the letters. Play Dough Tools are also fantastic for this activity. 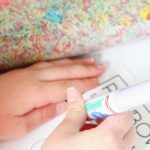 Some kids need extra encouragement to do learning activities and this can easily be done by adding a fun factor. Play dough alone can be a super fun activity that most children enjoy, so adding learning to this activity is perfect. 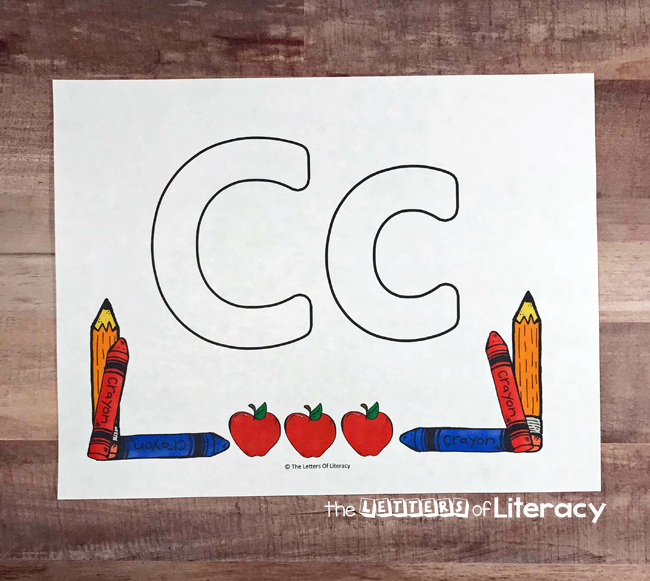 This is a fantastic set for a literacy center in a classroom or as an ABC activity at home. Play dough is a fantastic way to strengthen fine motor skills, which helps with pre-writing skills. Play dough can be calming and stress relieving. Encourages development of hand-eye coordination. 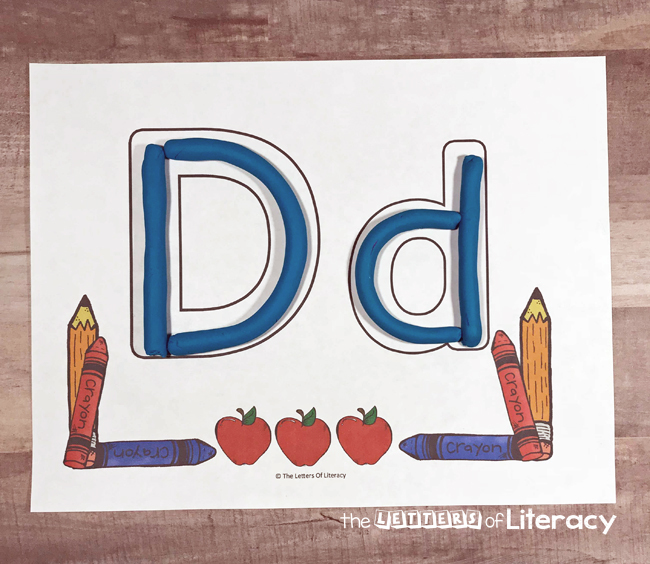 Will help with letter recognition and letter formation. 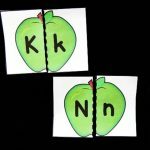 Is a fun way to introduce beginning sounds. Ready to play and learn? 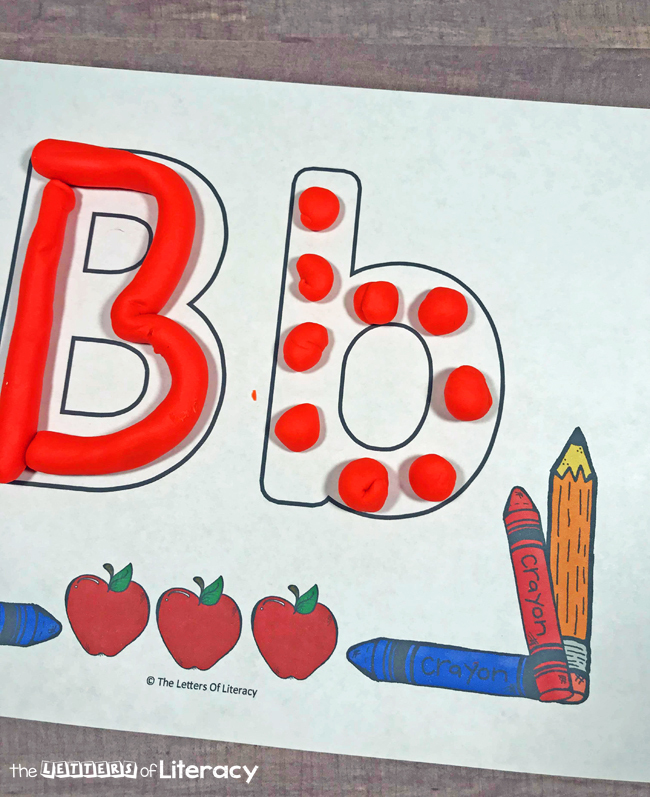 Grab some play dough and print your copy of the Back To School Alphabet Play Dough Mats by clicking the large, blue button below! 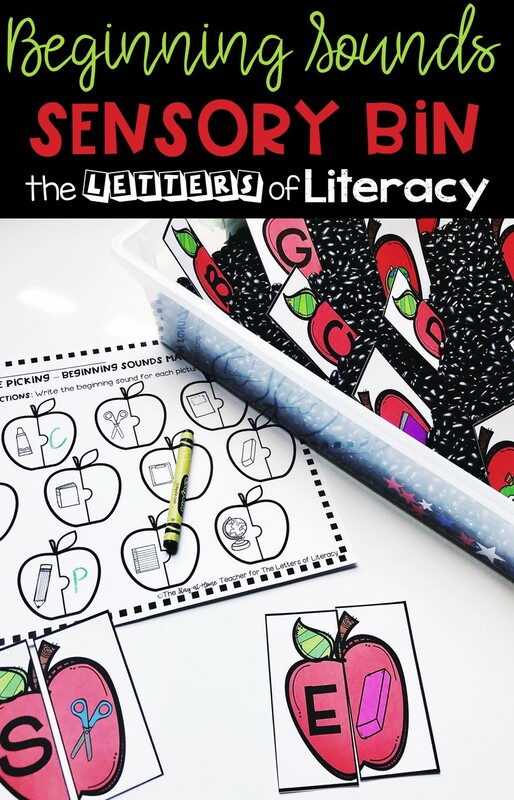 Then hop on over to see our FREE Back to School Alphabet Sensory Bin and Printables!